This isn't mine...but I hope you guys like it anyway...I found it at animelove. 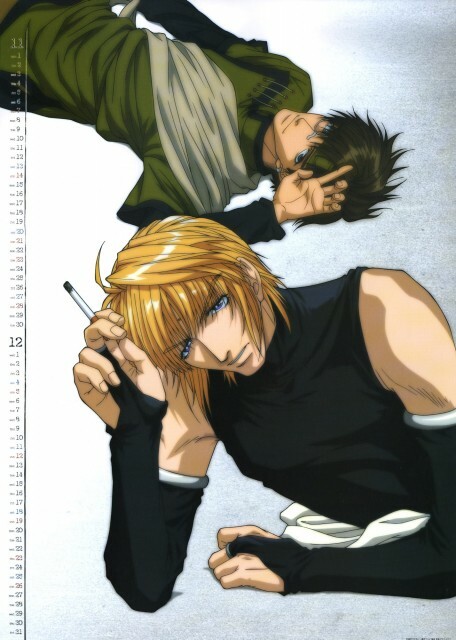 Leather below silk... Sanzo is a killer. Thank you for the scan!